Machine-rolled Tampa Sweet cigars are made to fulfill your craving in a short period of time. They are packed with high-quality Italian and Columbian fillers that are secured in place with homogenized binders. This concoction is rolled in high-quality natural wrappers. Each well-constructed cigars provides an even burn. A sweet and mellow smoke enchant your senses and holds you in rapture. The homogenized natural wrapper contributes to the divine aroma and an aftertaste that seems to go on forever. The Tampa Sweet Cheroot is 4¾ inches in length and has a ring gauge of 31. It’s neither too thick nor too short. With a length of 4¼ inches and a ring size of 28, the Tampa Sweet Cigarillo is the smallest of the 3 variants. These cigars are the perfect go-to smokes when you’re on the move. The thickest version is the Tampa Sweet Perfecto, which has a ring size of 43 and a length of 4 ¾ inches. 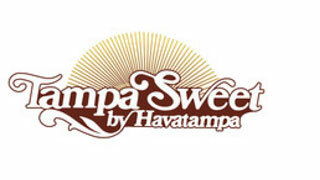 All Tampa Sweet cigars are sold in cartons containing 10 packs of 5 pieces each. Each pack is compact in size and carried around with you wherever you go. These cigars have been manufactured by Altadis USA, known for iconic cigar brands like H. Upmann and Trinidad. Pair these sweet cigars with a cup of toasty coffee to kickstart your morning.